Eduard Wiltheiss was born in Worms, which is a few km north of Mannheim. His father was Johann Georg Wiltheiss, a book binder, and his mother was Elisabeth Mohr. The family were members of the Evangelical Lutheran Church, and Eduard was baptized into this church. All of his school education took place in Worms, beginning with his primary education which began when he entered the elementary school of Worms starting from Easter 1861. He moved from the elementary school to the Gymnasium of Worms at Easter 1866 and he studied there until he took his final school examinations, his Abitur examinations, on 28 March 1874. In April 1874, immediately following his Abitur examinations, Wiltheiss entered the University of Giessen to study mathematics. At Giessen his lecturers included R Baltzer, M Pasch and P A Gordan. Moritz Pasch was a geometer while Paul Gordan was famed for his work in invariant theory. However Gordan had undertaken research on abelian functions before becoming fascinated by invariant theory, and Wiltheiss went on to undertake research on that topic, making a major contribution to the theory of abelian functions. From Giessen Wiltheiss went to Berlin in 1876 to continue his mathematical studies. There he attended lectures by the three great mathematicians Weierstrass, Kummer, and Kronecker. At this time Berlin was the leading German university for mathematics, indeed it is fair to say that it was perhaps the best university in the world for a student to learn the deepest and most exciting approach to the subject. His doctoral studies on systems of hyperelliptic differential equations were supervised by Weierstrass and he submitted his thesis Die Umkehrung einer Gruppe von Systemen allgemeiner hyperelliptischer Differentialgleichungen Ⓣ to the University of Berlin. He graduated on 5 July 1879 and immediately began working on his habilitation thesis. On 25 April 1881 Wiltheiss presented his habilitation thesis Bestimmung Abelscher Funktionen mit zwei Argumenten, bei denen complexe Multiplikationen stattfinden Ⓣ to the University of Halle and became a privatdozent there. Heine was the consultant for the thesis. 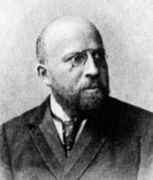 In November 1886, after five years as a privatdozent, Wiltheiss was appointed as an extraordinary Professor of Mathematics in Halle. Soon after his appointment A Wangerin was appointed to succeed Heine, and over the next few years Hermann Wiener and Paul Stäckel joined the staff at Halle, in the years 1885 and 1891 respectively. The German Mathematical Society (Deutsche Mathematiker-Vereinigung) was founded in 1890 at a meeting of the Society of German Scientists and Physicians which took place in Bremen from 15 to 20 September. Wiltheiss was a founder member of the German Mathematical Society along with his colleague at Halle Hermann Wiener, as were Cantor, Gordan, Hilbert, Klein, Minkowski, Study and Heinrich Weber who all gave lectures at the Bremen meeting. Hope that he could still participate in their development was cut off by his illness. Nevertheless his work secures a continuing place for him in the history of Abelian functions. For the author of these lines it is a painful memory, as Wiltheiss tried to speak about determinants in his last lecture hour in May 1892 with obvious energy before his two listeners. Although he had been suffering from ill health over a period of time, it was in this final semester of 1892 that the effects of the illness became much more severe. At the end of May Wiltheiss underwent an operation in Jena but sadly it was not successful. In the summer of 1892 he took premature retirement on grounds of ill health. He died on 7 July 1900 in the mental hospital in Halle, and was buried in the North Cemetery in Halle three days later.